Beloved wife of the late Stephen. Loving mother of Brian (Sandy) and Todd (Laura). Survived by her brother Jim (Janie). Predeceased by her son David. 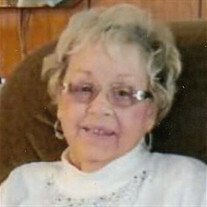 The family of Shirley Ann Jury created this Life Tributes page to make it easy to share your memories. Send flowers to the Jury's family.